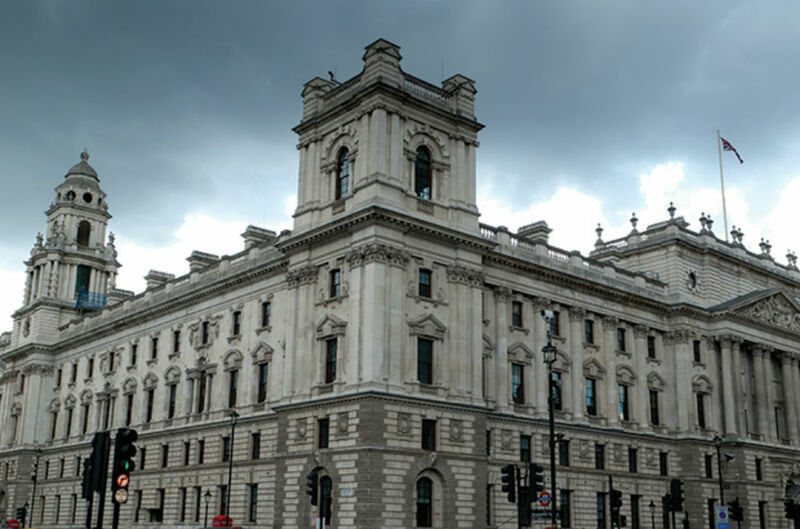 Her Majesty’s Revenue and Customs (HMRC) has reduced error and fraud in the tax credits system to its lowest level since they were introduced in 2003. Tom Smith, HMRC’s Director of Customers, Strategy and Policy (Benefits and Credits) examines the reasons for the turnaround and lessons learned. HM Revenue and Customs has reduced error and fraud in the tax credits system to its lower level since 2003. Tax credits play an important role in supporting working people. Most people who receive them are honest and rightly want to know that others cannot get away with incorrectly claiming them. Success in this area has never been more important. Working Tax Credit and Child Tax Credit were introduced as Chancellor Gordon Brown’s chosen instrument for making work pay and tackling child poverty. The concept of a tax credit was not new. But the ambitions of the new system were intended to have a greater impact by being more generous and comprehensive. From the outset, there was huge levels of claimant demand, putting critical strain on the computer system. Once those glitches were tackled, attention turned to the risk that large amounts of tax credits were not going to the right place. In many cases, the problem arose from claimants struggling to get their heads round a system that – with the benefit of hindsight – was too complex in its design. The problem began because tax credit awards were calculated on an annual basis. This was designed to mirror the tax system so that the two could fit together. However, instead of simply reporting their current income and childcare costs, claimants had to make estimates covering the whole year. This was not always easy. It was made harder because tax credits were designed to be responsive. This made sense in theory – people's lives did change and it seemed right that tax credits should respond accordingly. But, in practice, it put the obligation on the claimant to understand when they needed to tell HMRC about something that had happened in their life and to do so without delay. The system was complex, people's lives were fluid and many changes were not reported. All of this was reflected in the annual published figures, which estimated that around £2 billion a year was being paid incorrectly as a result of error and fraud. The percentage figure hovered stubbornly around 8-9%. HMRC faced a growing mountain of tax credits debt running into billions of pounds. The complexities of the system meant that claimants were being overpaid and HMRC was struggling to get the money back. HMRC set a target to get the percentage down to 5% by 2010-11. At the heart of the plan was a fundamental change of approach. The new mantra was “check first, pay later”. To support this, we built teams that could pursue compliance on an industrial scale. We intervened in over a million claims each year, systematically checking discrepancies and correcting errors. But this was not just about boots on the ground. We pulled in and analysed the data so that we knew which cases to investigate. We put in a new system that enabled us to stop a large amount of error and fraud from entering the tax credit system at the point when someone made a new claim. We pioneered the use of Credit Reference Agency data to find those cases where someone was claiming tax credits as a single person despite the fact that they were clearly living as a couple. We knew that this tough approach would only be acceptable if at the same time we provided good levels of customer service. So one of our key targets was to ensure that we were processing new claims and changes of circumstances in , and we consistently achieved this. This was not an overnight success. 2010-11 came and went with the 5% target not achieved. Our efforts were not yet getting the results we had hoped. But we knew we had laid the foundations for success and it was a question of building on them. This building work consisted of new tools and new interventions. HMRC’s own PAYE Real Time Information (RTI) made a huge difference – we used it on a large scale for the first time during the annual tax credit renewal exercise in 2014. A tiny system change – writing to all parents of 18 year olds to get them to confirm whether or not their “young person” was still in full-time education and therefore eligible – yielded £120 million in its first year of operation in 2014 alone. At the same time, we sought to halt the inexorable increase in tax credit debt – recovering overpayments by regular deductions from a tax credit awards whenever we could; more effective means of direct debt recovery when other options had been exhausted. By now the percentage figure was finally edging down – to 7.3%, then to 7%. Our front line staff were telling us that things were feeling good. But the 4.4% figure we achieved was better than we had dared hope. We do not have a lot of time to take tax credits further, given that it is one of the benefits shortly to be replaced by Universal Credit. But we are not resting on our laurels. The main thing we want to do is to shift our approach towards engaging with our customers to help them get it right as opposed to catching them when they get it wrong. “Prevent” not “Respond”. We will be launching a new digital service for tax credit customers later in the year. Exploiting the full potential of this service will be one of the key planks of our strategy. Where possible, design error and fraud out of your system. This is not something we can change given the short shelf-life of tax credits. But when we design something new – like the Tax-Free Childcare scheme that will be introduced in 2017 – we are doing it very differently. Be rigorous about using data to help you. We could not have achieved the results we did without a range of data sources, both public and private sector. But make sure you have people who actually know how to make sense of data and turn it into intelligence. Be organised – use operational best practice to plan and execute your compliance activity. As part of this, empower your front-line staff. Engage and communicate with them; focus on their skills and knowledge; and welcome their suggestions for how things can be done better. The best systems and processes are useless if you don’t unlock the potential of your people. Be persistent and resilient. Not everything you try will work. Changing customer behaviour can be a long slog. Don’t give up! WOW, is this the HMRC we are taliking about, its amazing as having to wait for hours to get through on the Child Tax Credit line. then tell them about a change, for the award to stop, then start again, then be told "sorry we have over paid you" to then write to HMRC to get a reply 1 YEAR, thats right 1 YEAR later to say we are right and you are wrong is amazing. having first hand experiance of the shambles what is HMRC. Im o.k because my pay stays the same but my wife being on a zero hour contract is a bit of an issue for HMRC. it puzzles me how any underpayment they will only back date 3 months but any overpayment is back dated 12+. it would be nice if both were the same..yes HMRC get your act together.